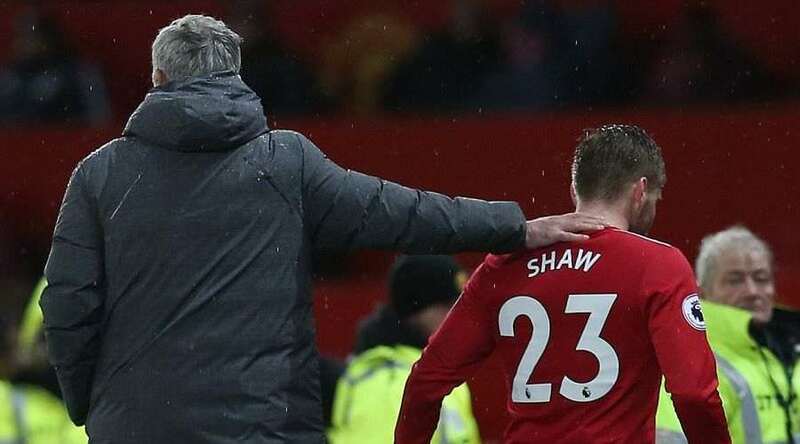 Manchester United manager Jose Mourinho is convinced of left-back Luke Shaw’s ability and backed the youngster to stay at the club for several years. Luke Shaw’s career at Old Trafford was in jeopardy with recurring injuries and constant criticism from the Portuguese manager. But, the 23-year-old has managed an incredible turn around with impressive performances on the left flank. Shaw has cemented his place as a semi-starter with the left back position being rotated alongside the in-form Ashley Young. The former Southampton star has accounted over 600 minutes of action this season so far with consistent performances. Shaw was initially up for grabs with several clubs like Chelsea expressing their interest in the prospect. However, after seeing the youngster’s performance on the pitch as of late, the club decided to trigger his extension clause. Mourinho is hoping that the officials would tie the youngster by agreeing to a long-term deal. “I know Shaw since he arrived in the Premier League with Southampton and I know his potential, his quality.Could he come in my direction in the way I like players to be, not just on the pitch but also during the training week? “He made a big effort. He is now, for a few months, free of these minor injuries which sometimes stop evolution and I am really happy. Manchester United will hope to keep the pressure on the league leaders Manchester City as they prepare for a crucial away trip to St. James Park. Shaw has been really unlucky with his spell at the club so far with constant injuries marring his consistency. The youngster is having a good run since December and has shown Mourinho why he deserves to be in the squad. Shaw could be a really good addition to the Red Devils in the long term with age on his side. The post Jose Mourinho Believes Youngster will stay for years to come appeared first on The12thMan.